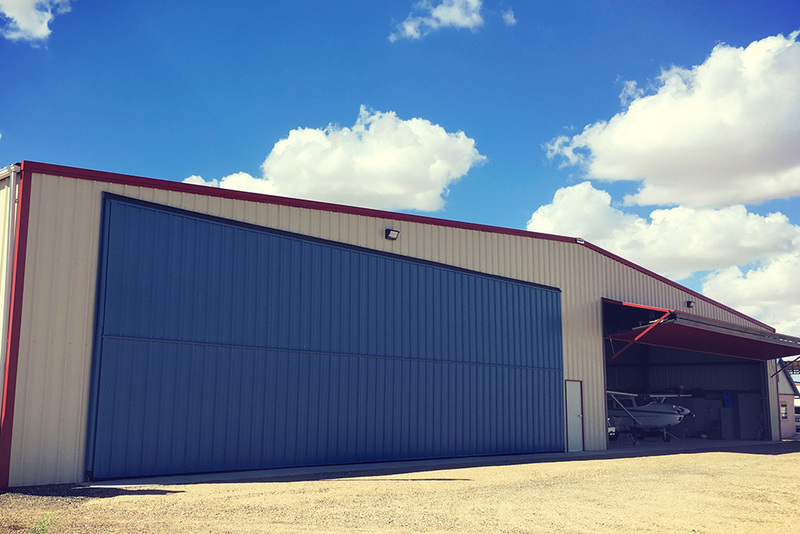 Somerton Airport in Somerton, AZ purchased an airport hangar from Sunward Steel Inc. in February of 2017. Sunward was pleased to deliver a prefabricated structure to serve Arizona’s needs. 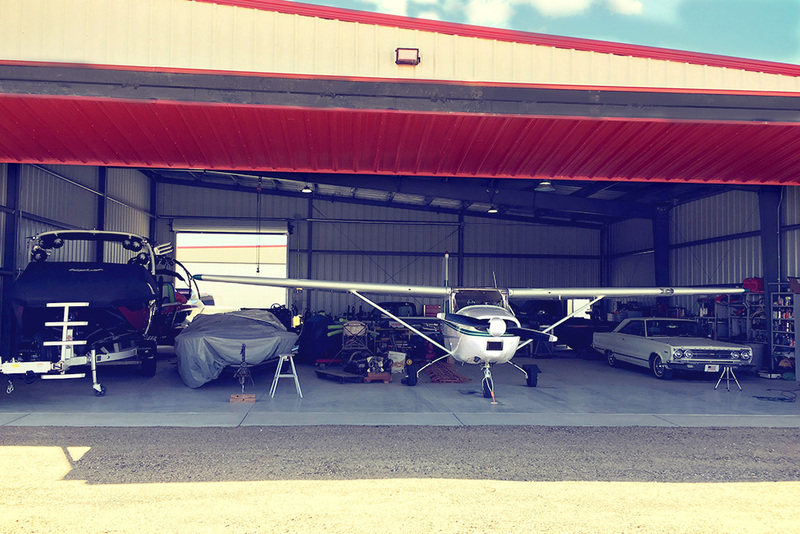 The town of Somerton needed additional space to store aircraft and aviation equipment. The airport first took flight in 1945. Over the years it has grown tremendously and now serves as a training ground and destination for recreational flyers. The surge in popularity meant they needed additional hangars and pavement for runways. The construction of the large Sunward Steel metal hangar helped the small airport meet the demands of its flyers. The addition has sparked enthusiasm from local pilots. Sunward supplied a 120’x60’x17’ pre-engineered hangar to the town of Somerton. The building is stone beige with red trim and a galvalume roof. The roof has a 1:12 pitch. The building was designed with loads to accommodate two 50′ x 14′ openings for large bi-fold doors. 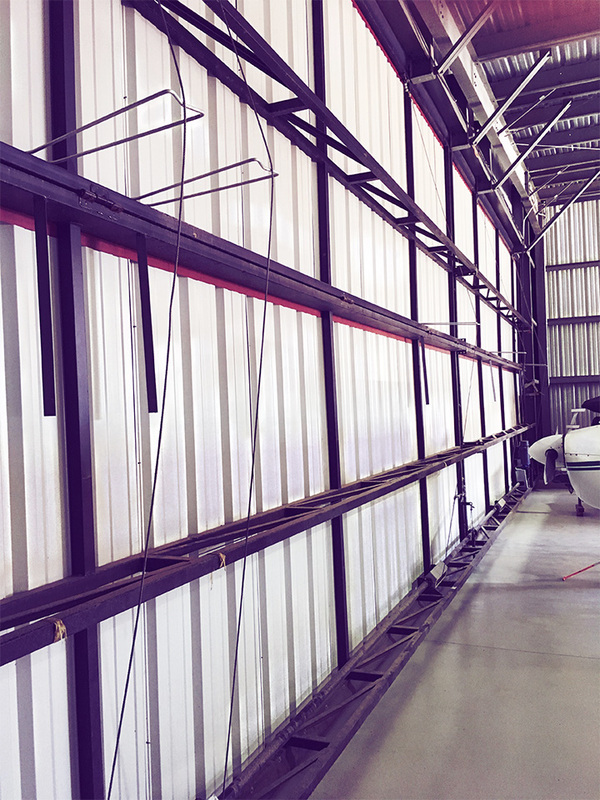 Bi-fold doors are customary in aircraft hangars because they allow for large wingspans on the aircraft to get in and out of the building. Four 3070 commercial steel walk doors were installed as well as two 14’x14’ overhead framed openings with trim were also built into the structure. 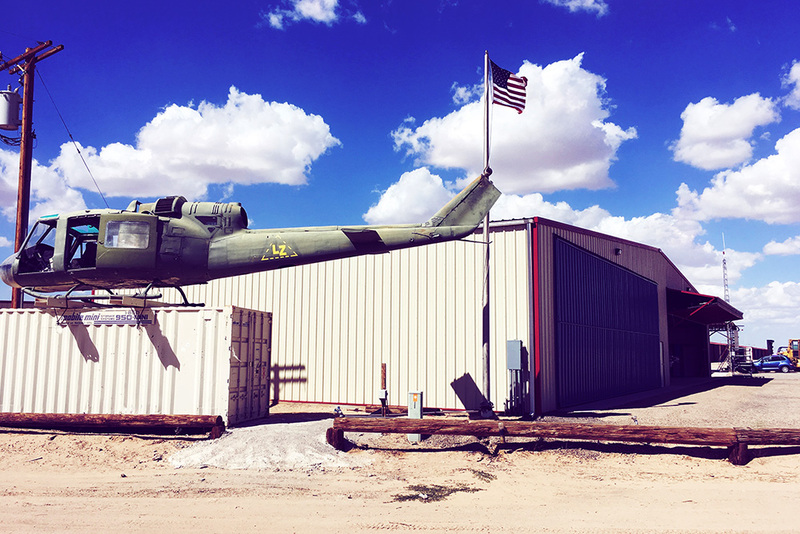 The hangar building was designed to withstand up to 115 mph winds and the Arizona desert climate. Considering purchasing a pre-engineered metal building for commercial or industrial use in Arizona or another part of the country? Click here for a price quote.